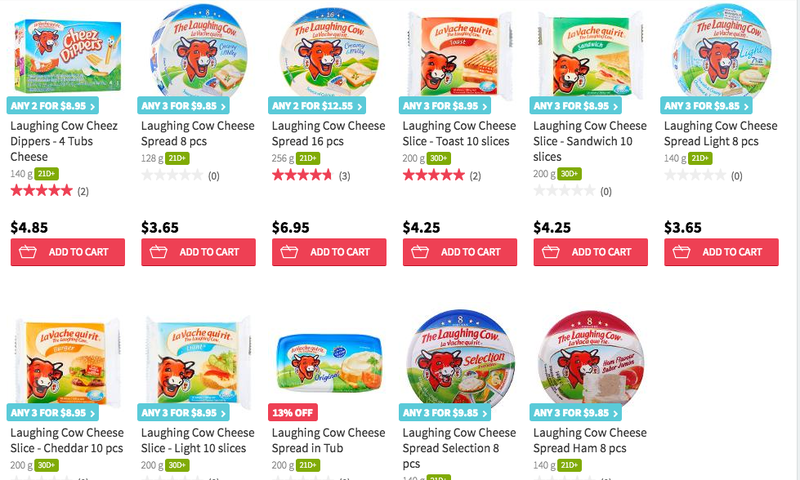 alexis blogs: Buy now: The Laughing Cow's 95th Birthday Promo and Lucky Draw! Buy now: The Laughing Cow's 95th Birthday Promo and Lucky Draw! Happy birthday Laughing Cow! I got a bunch of their cheesy goodies as a present in a odd turn of the universe (usually the birthday person gets the gift) but I ain't complaining. I love La Vache Qui Rit (that in French means the cow that laughs), which I am sure many of you know from the triangular cheese blocks. Anyway, this is just a really short post to tell you guys about the promo they are having in stores now, and the lucky draw where you get to win a trip to France! Moo-tastic or what? From now till end of October, simply purchase any Laughing Cow products, keep your receipt as proof of purchase and enter the lucky draw online. Actually I shouldn't have told you all because I've taken part in the lucky draw also, but GOOD THINGS MUST SHARE. My favourite is the cheez dippers, which right now costs S$9.15 for 2 boxes (each has 4). So good for picnics or just a healthy snack especially for kids - better than sugary chocolate ones! What's cool is that these are made from all over the world - France (Belcubes and Dippers), Australia (slices), Slovakia (the tub) and Poland (portions). I've not even been to the last two countries! I also found that RedMart has them for even cheaper. What are you waiting for? 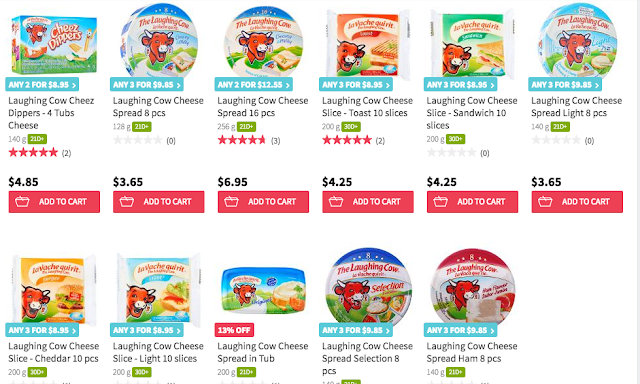 Click on the link for the Laughing Cow tubs, slices and portions. And here for the Belcubes. Thanks to The Laughing Cow Singapore and BrandCellar for sending across the cheesy package!